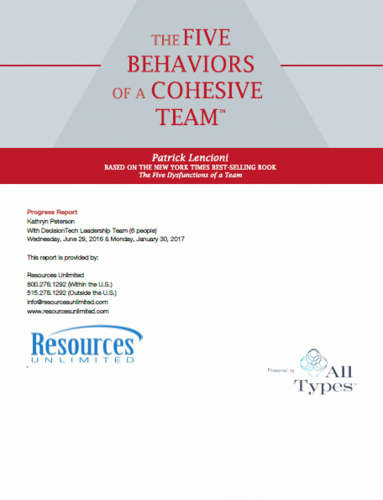 The Five Behaviors of a Cohesive Team™ Progress Report is for teams who have already taken the original The Five Behaviors™ assessment. The Progress Report highlights areas of greatest improvement and decline, offers productive points of discussion, and provides an action plan to help teams prioritize and set specific goals. You’ll be able to compare how a team’s performance has changed over time and highlight areas of greatest improvement and of greatest decline. 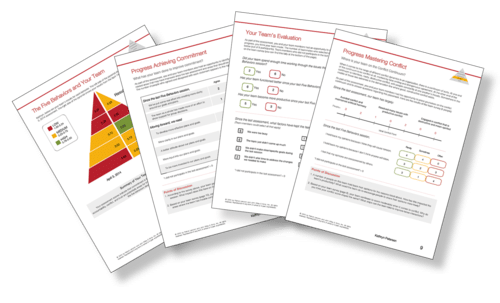 Before using this tool, you should give team members enough time to implement the action plans they committed to when they began this process. We recommend waiting 6–12 months after they take the original assessment before measuring their progress. Keep in mind, once you run a Progress Report, every report run after that is compared to the previous Progress Report—not the original report. 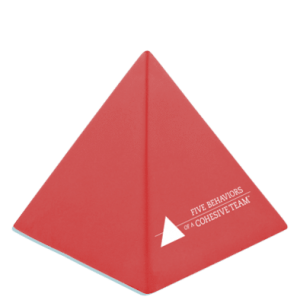 Look at the numbers in addition to the colors in the pyramid to gauge improvement because the colors only tell part of the story. Keep in mind that lower scores don’t necessarily mean things are getting worse; people may be more honest when answering the questions the second time around, which could make some scores go down. Review the model with the team before you hand out the report. As soon as the team members get the report in their hands, they’ll go straight to the numbers, so you’ll want to emphasize that the report is designed to serve as a conversation starter about where the team is and where it wants to be. 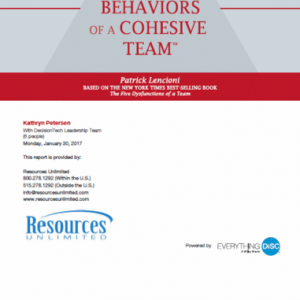 If a team has a new leader, we recommend the team re-take the original Five Behaviors assessment. Additionally, if more than 40% of the team has changed since the original assessment was administered, we recommend re-administering the assessment and having the team create new action plans for improvement. 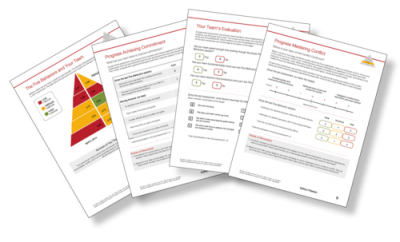 Then in 6–12 months, you could administer The Progress Report and assess the team’s progress. If one or two people have joined the team since the original assessment was completed, you will still be able to add their data to The Progress Report. 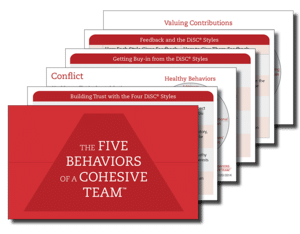 These members will have a longer assessment experience, as they will need to take the DiSC portion of the assessment to receive their DiSC narrative and to be included on the DiSC Team Map and Conflict Map. These team members will answer questions about the team and will receive their own Progress Report. 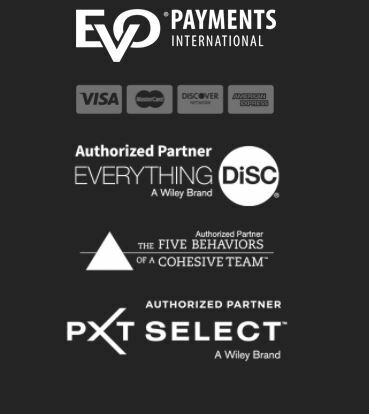 You also have the option to import DiSC data from any Everything DiSC assessment into The Progress Report. You may want to recommend new team members read The Five Dysfunctions of a Team in order to give them a deeper understanding of the model. Alternatively, you could meet separately to bring new team members up to speed prior to any engagement with the whole team. We encourage you to take The Five Behaviors of a Cohesive Team™ Facilitator Accreditation course.